MANHATTAN (CN) – Citing news articles that attributed the rapid spread of last month’s fatal London apartment fire to highly flammable aluminum siding, an investor who owns shares of the manufacturer Arconic brought a federal class action Thursday in New York. The fire that broke out at the 24-story Grenfell Tower apartment in West London on June 14, 2017, burned for at least 60 hours, killing 80 and injured at least 70 others. Ten days later, as quoted in the complaint, both The New York Times and Reuters published articles that blamed the rapid spread of the fire on Reynobond PE cladding panels produced by the American manufacturing giant Alcoa, which was renamed Arconic last year after a reorganization. 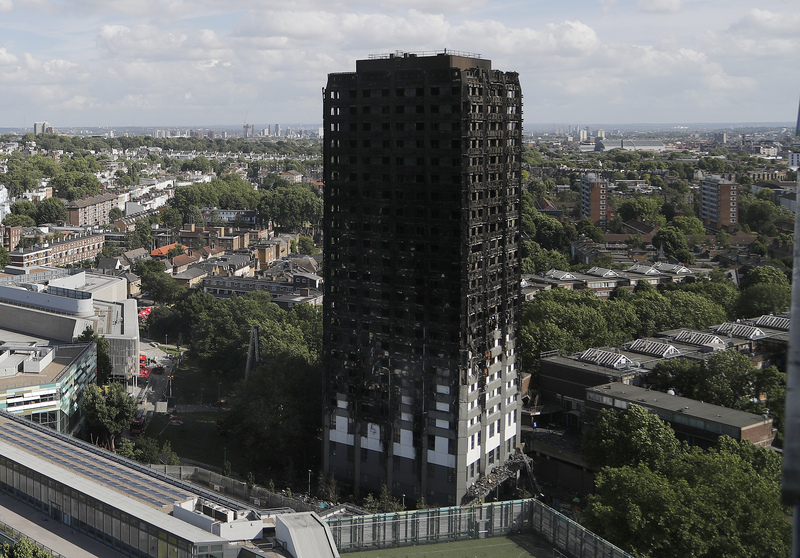 The Times said Arconic waited more than a week after the fire to confirm that its polyethylene panels had been used on the Grenfell’s facade. Arconic shareholder Michael Brave is the lead plaintiff behind Thursday’s complaint. He notes that shares in the company fell 14.49 percent on June 27, the day after Arconic announced that it would discontinue global sales of Reynobond PE for use in high-rise buildings. Though Arconic declined to comment on Brave’s claims, its June 26 statement shifts blame from its product to lax regulations. “We sell our products with the expectation that they are used in a system that complies with local building codes and regulations,” the company said at the time. Brave blames Arconic’s “wrongful acts and omissions” for the decline in company shares. The class period the lawsuit is seeking to cover begins on Feb. 28, 2017, when Arconic filed an annual report on Form 10-K with the Securities and Exchange Commission. Brave is represented by Pomerantz attorney Jeremy Lieberman. Representatives of Arconic did not immediately respond to email and phone inquires seeking comment on the lawsuit. Though Arconic shares closed at $21.84 on June 27, 2017, the day of the 14.49 percent drop, they closed at $24.45 on Thursday.